Lately it seems like it’s been getting worse. I feel like I’m always stressed out! And then I react badly in frustration or anger. 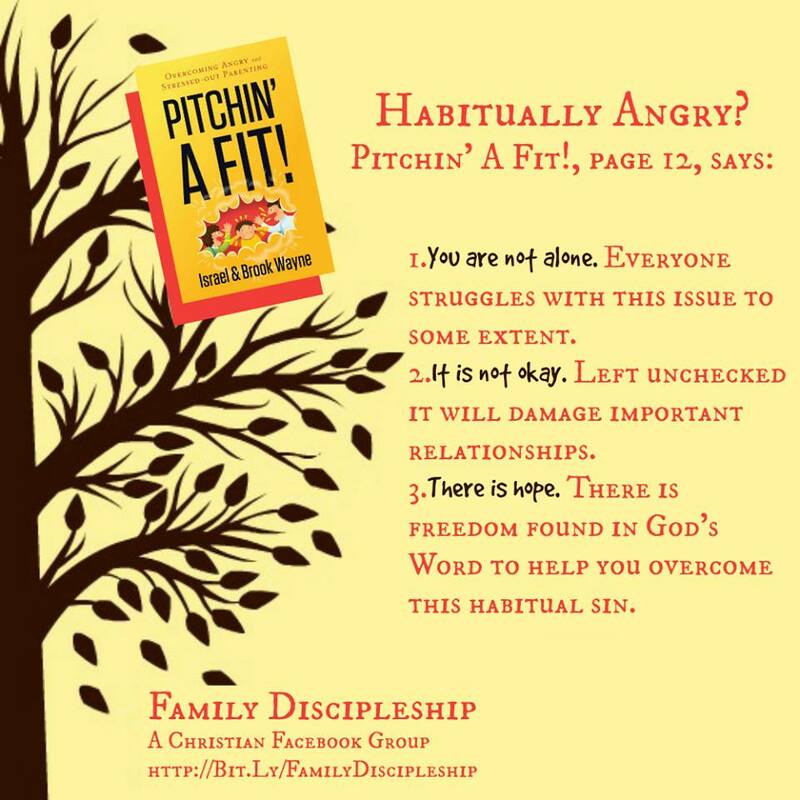 I just started reading a book called Pitchin’ A Fit! : Overcoming Angry and Stressed-Out Parenting . The entire first chapter felt like it was totally written for me! I’m feeling hopeful that I’ll get a hold of this problem once and for all. If you’d like to join me, I’m part of a book discussion group that will start on Friday April 1. You can even get the book in time if you download the Kindle version (which is what I did), or order the print version and just catch up when you get it. We’ll only be discussing one chapter a week, so it’s very doable!